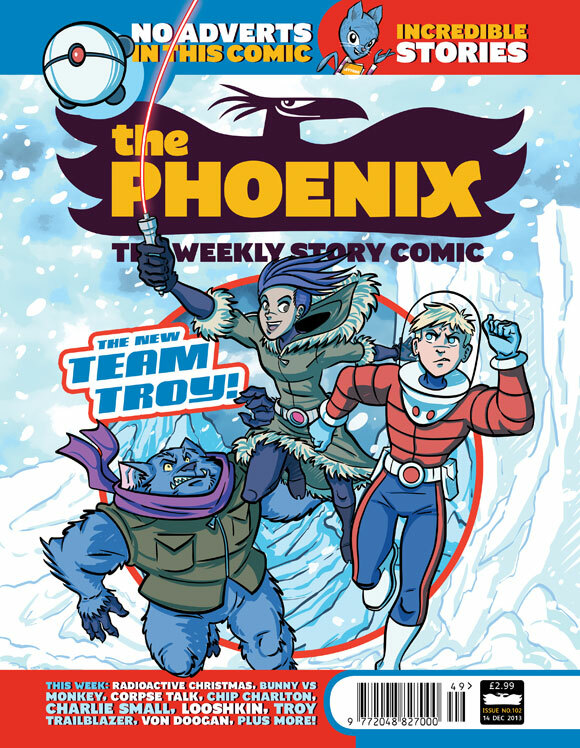 The Phoenix weekly story comic focuses on great storytelling that appeals to boys and girls alike. The Phoenix’s commercial director, Tom Fickling, explains why they’ve chosen to steer clear of gendered marketing. I learned to read with comics. As a child there was no other experience like holding the latest issue of my favourite comic in my hands. That feeling of excitement every Friday when it dropped through the letterbox was pure delight. What brilliance! A profusion of stories, funny and serious, heroes and villains and adventures. And it was ALL mine to devour. My father is a book editor and he always says that at least half of his story sense, if he has any, came from comics. He’s not alone. That’s why so many top authors now pay tribute to them. Great writers like current Children’s Laureate Malorie Blackman, the brilliant, Philip Pullman and many more. All of them attest to the amazing ability that brilliant story comics have to inspire our children. But nowadays the story comic has mostly been replaced with something else. Something that doesn’t bring delight and wonder but something that commercialises and divides, something that categorises and pigeon holes. A section for boys and a section for girls. We’ve all seen it. A junk yard of crappy plastic toys and sweets colour coded so our children know which ones are for them. A simplistic binary choice that leaves no room for subtlety or nuance. Even worse, this is the fixing of an order on an unformed mind. This is indoctrination, pervasive and manipulative. It’s as simple as that. The blind following of old conventions doesn’t often lead to new, inventive and inspiring entertainment for children or adults. For me it’s all about great stories. Not stories for boys or stories for girls but brilliant, original, funny, scary, thrilling and amazing stories for everyone. If children want to wear pink or blue or green or any other colour under the sun then more power to them. But they shouldn’t have to wear those colours or play with toys in those colours or even worse, read magazines that force them to think in a certain way before they’ve even reached double figures. Do children even care about those sorts of things if we don’t tell them they exist? Aren’t they just more concerned with being children and having, you know, fun? So why don’t we just provide them brilliant, fun and inspiring things to read and leave it at that. It’s adults who force these very defined gender roles on children, not children themselves. That’s why The Phoenix is emphatically a story comic for all. Not a boy’s story comic nor a girl’s story comic. We’re not interested in stereotyping. 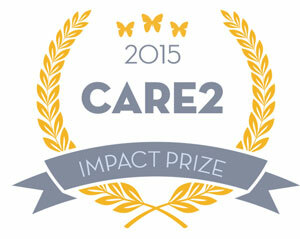 We’re interested in making great things! Now of course I would say The Phoenix is great, and it’s understandable if you might take that with a pinch of salt. But it really is. Show it to a child and see what they say, that’s the real test. I often hear people saying that boys don’t like stories with girls as the main character. Apart from this annoying me intensely, it’s just plain wrong! At the end of the day people like good stories and good characters. That goes for children and adults. Because the best way to inspire all children is to forget about what roles they should and shouldn’t be preparing for and just give them top quality stuff to read and do. That’s why The Phoenix has no adverts and no tacky toy on the front. It’s all about the content. But make no mistake, we are in a battle with the rest of the magazine trade. A battle we’re fighting with stories and wonder against the might of the plastic toy and the TV cross-over. We’re not the only independent publisher trying to make great content for children. There’s Aquila, Okido, Loaf and Anorak to name a few. But this week we’re going to see if we can make a non-gendered comic like The Phoenix work at retail, so we’re jumping into the snarling pit of the news stand. We have to pay to be there, and we’ve chosen to try our hand away from the mostly very gendered Children’s magazines in the Parenting section. This is a great chance to prove that cover mounted toys and gendered magazines are not the only way to go. Can you help us show retailers that great content and stories are what people want for their children? 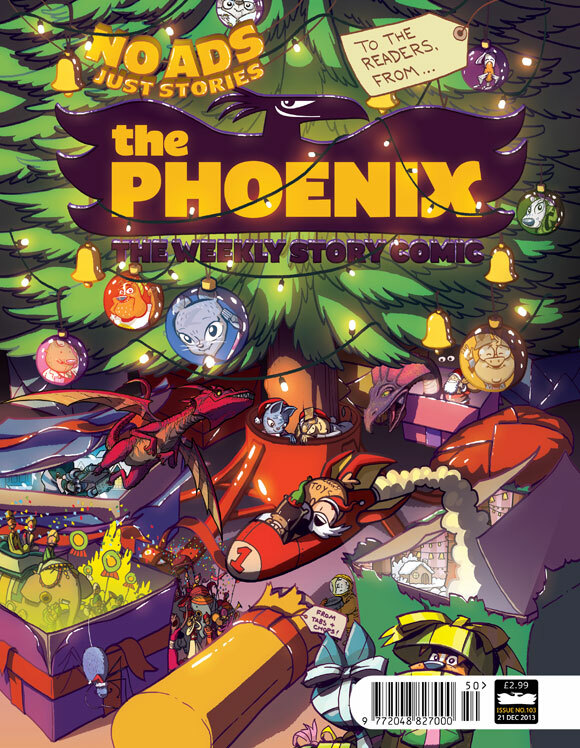 The Phoenix is a 32 page weekly story comic and will be available in 252 Waitrose stores across the UK from 16 December. You can also get four free issues of The Phoenix when you subscribe at www.thephoenixcomic.co.uk or check out a free digital sample of The Phoenix. Hi there, love your outlook and perspective. What age range is this comic for? Hey Laurel 🙂 The Phoenix is an all ages anthology but our core readership are aged 6-12. We do have younger and older readers (adults too!) but the majority are probably in that age range.